I don't know why they've known this, I only know that they've been around, and that after the 2011 World Series all of them discovered their powers all at once, like the pilot episode of a show somebody greenlit after Lost came out, and started to ask me how close Yadier Molina was to the Hall of Fame. And all of us who get asked those questions discovered a power of our own, the following pat answer: To do it, he'll have to have that great 2011 season over and over again for the next five years or so. It's 2014, and to the Molinaphiles' credit he's had two seasons that were better. But he's still got a ways to go. Yadier Molina's counting stats are low enough that you will make a face that betrays your distraction if you look them up at work. Because he got a young start and has played ever since it seems like that shouldn't be the case, but, well, it's the case—1183 hits, 546 RBI, 89 home runs. This isn't Yadier Molina's fault, really; counting stats are not there for the catcher's benefit, and a True Hall of Fame Catcher politely snubs them, in the same way Old Money never talks dollar figures. Counting stats are gauche, and relying on them to make your Hall of Fame case if you've spent the better part of 15 years destroying your knees will just get you compared to some uncouth first baseman or another and thrown out on the first ballot. 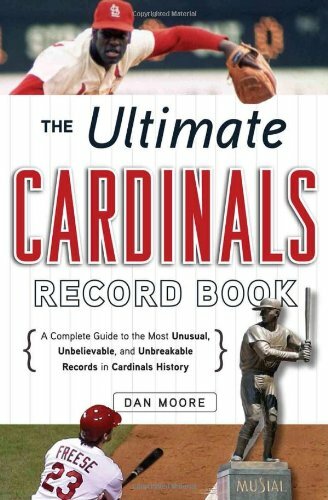 1183 hits puts Yadier Molina between Gus Mancuso and Frankie Hayes, two longtime backups from the '30s and '40s, at No. 59 in the history of catchers. He could get much higher, but it's best to maintain a certain discretion about these things, as befits our station. Yadier Molina's election to the Hall of Fame depends to an unnerving degree on how FanGraphs decides to calculate its WAR after he retires. Wins Above Replacement hasn't exactly caught on at the BBWAA, but in the last several years voters have at least admitted that they need to contend with the concept on their way to a column about Jack Morris doing things the right way. They can be ignored, but now you have to say you're ignoring them. And if a player hits 50 or 60 of them, you have to say you're ignoring the swell of righteous comment-box anger that will accompany your leaving him off your ballot. Yadier Molina is not on his way to 60 WAR. If you add his FanGraphs WAR (28.9) to his five-year projections—hey, why not?—you get 47.3, which is actually pretty great for a catcher. But then he's 36, and anyway his counting stats are still lousy, and some of the people who would be agitating for Yadier Molina are still out spray-painting Jim Edmonds's five-year peak on the walls of idle traincars. Catchers are weird. They are not playing the same baseball everybody else is playing; they handle the ball constantly and mostly don't do anything with it. We understand they're doing something important, in the interim, but we've had a hard time measuring all but the most obvious parts of it—the parts where they have a direct impact on the part of baseball that we recognize, the baserunner parts. They play much more often than pitchers and just a little less than everybody else, so that their stats look like they should match up even though they don't. Looking at a catcher's stats and a shortstop's stats is like looking at a starter in a five-man rotation and a starter in a six-man rotation, only it's the same rotation. The first nine of those guys are or will be Hall of Famers, not that their WAR always had a lot to do with it, but the important thing about this table is how low the numbers are. Johnny Bench's 75.1 rWAR would put him eighth on the list of first basemen, and sixth on the list of second basemen, and so on. Jim Sundberg's 40 rWAR leave him well outside the Top 30 first basemen, behind Mark Grace and Don Mattingly. As you get deeper on the list the gap gets bigger. 67 first basemen, from Lou Gehrig to Paul Konerko, have as many rWAR as Yadier Molina; depending on which WAR you use, it's 30 or 40 catchers. Yadier Molina doesn't have control over how we think about WAR and the Hall of Fame after he retires. More importantly, he doesn't have control over whether, some time in the next decade, FanGraphs drops pitch-framing into its player cards. It is not an exaggeration to say that if FanGraphs does the second thing, Yadier Molina might not have to worry about the first thing. If you missed the excitement back in 2011, pitch-framing is why Jose Molina is still playing baseball. It is probably the weirdest, most terrifying thing to come out of sabermetrics since Voros McCracken brought defense-independent pitching down to Usenet on stone tablets. It was Mike Fast—who is now working for the Astros—saying that Jose Molina was 61 runs per 120 games better at fooling umpires than Ryan Doumit. It's terrifying, like DIPS was terrifying, because there is such a simple game-breaking logic to it. The numbers pitch-framing spits out seem implausibly large, but look at the "called pitches" column on that table in Mike Fast's article—Jose Molina, a backup, handled 18,788 pitches in five years. They are big numbers—it's like a bonus set of defensive runs as we know them now—but they're the result of thousands of little transactions we've been watching and ignoring for years snapping to our grid. Except right now it's still mostly off our grid. Like defensive metrics in 2004 it's out there—it's in GIFs and spreadsheets and blog posts—but it's not all together. If you go to Jose Molina's FanGraphs page it tells you he's a below-average defender, and it doesn't even wink at you afterward. Anyone who reads FanGraphs's blog knows something else is up, that the page should be filled with animated Under Construction GIFs, but the Hall of Fame is not a FanGraphs Blog problem; it is, at best, a FanGraphs Player Card problem. The rest of Yadier Molina's career will be a weird time to look at Yadier Molina's career stats. The work is already being done; StatCorner, further out on the fringe of table-full-of-stats websites, is on it. 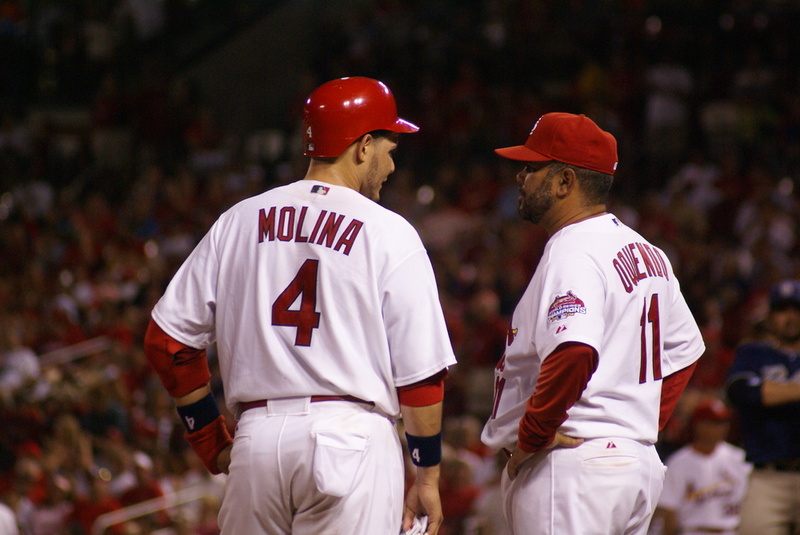 Their numbers say Yadier Molina earned the Cardinals 1.3 strikes per game and 19.8 runs over the course of the 2013 season. Since 2007 the number is 129 runs. I am not telling you to do this. But if you do what you're thinking about doing—divide that number by 10 and then attach it to Yadier Molina's WAR and then tie it around a brick and then throw it through the window of an MVP voter you feel has personally wronged you—if you do that, then yes, Yadier Molina's Hall of Fame case is secretly doing just fine. Yes, but—the Cardinals' pitchers over that same period of time will give you very sad looks, because those runs are coming out of something we thought we were measuring before they go into something we're just starting to measure. There's a long way to go before this sort of thing is safe to use without lab goggles. Yadier Molina is young enough to see it through to commercialization, and right now it looks good for him. That's where we're at. Because catchers are so weird, we fall back on Common Sense Fan Wisdom a little more easily than we might while having an enlightened conversation about, I don't know, Ryan Howard's contract. Catcher aging might or might not, as it turns out, be as terrible as we think it is. Catcher aging for Hall of Fame catchers we can say more about. And whenever we talk about Yadier Molina needing several more years at his peak to be a real Hall of Famer—even when we're saying it to be dismissive—what we could be saying instead is that most Hall of Fame catchers were good for a long time. Many of them had to be. Johnny Bench, who left the position, stopped hitting, and retired at 35, is an exception; he didn't have to be, and he wasn't. Carlton Fisk, who restarted his save in New Game+ mode after turning 30, is the other exception. But the catchers whose Hall of Fame cases we're going to be arguing between now and Yadier Molina—Mike Piazza, Ivan Rodriguez, Jorge Posada—all started at catcher as 38-year-olds. That's the bar. I have no idea how Yadier Molina will end his career, or what it will been for his Hall of Fame case. But by now all my friends who have Known about Yadier Molina from the first moment they saw him and listened over and over to my pat response must think I'm pretty dumb. Of course Yadier Molina's peak has to run into his thirties if he's going to make a decent Hall of Fame case; that's what Hall of Famers do.